Your feet lie at the very foundation of your body and for such small appendages, their burden is extremely large. Your feet are responsible for your support, balance, and mobility, and any disruption in these functions can have a cascading effect on your entire body. At Michfoot Surgeons, our goal is to provide our patients in Southfield, Michigan, with the tools they need from the ground up for better overall function. To this end, custom orthotics can play a crucial role in realigning your body, improving your performance, and preventing injury. Here are 5 benefits that custom orthotics provide beyond foot pain. Walking on the straight and narrow, literally, depends upon feet that are perfectly balanced, with the weight spread out evenly over each of your feet. While this is the ideal, many people don’t have balanced feet, which leads to gait problems such as pronation (your ankles roll inward), supination (your ankles roll out), and overpronation (your ankles roll too far down and in). Consider how much you walk every day and you can see how gait problems can lead to stresses in areas of your feet and ankles that weren’t designed to pick up the extra load. With custom orthotics, we can rebalance your feet and improve your gait. As we mentioned above, pronation, supination, and overpronation can lead to gait problems, but imbalanced feet can also cause the alignment in the lower half of your body to get out of whack, causing pain in your knees, hips, and even your back. Even the slightest imbalance can throw off your musculoskeletal system in surprising ways. Think of it as a magnifying effect — that small problem in your foot is amplified each time it passes through a major joint, from your ankles to your hips and ultimately your spine. With orthotics, we can correct the problem at its source, setting your whole system straight again for optimal, pain-free function. If you have fallen arches, arches that are too high, or even bunions, these seemingly small issues can impact how you perform on the field, on the court, and on your daily run. Since almost every athletic pursuit places high demands on your body, why not make sure that each area has the support it needs? With custom orthotics, we can make tweaks that get the most out of your feet, which sets the rest of your body up for better performance. Custom orthotics made by us are just that — custom. While over-the-counter products may provide some cushioning and support, they aren’t designed to match your feet, as well as your goals, like custom orthotics do. Not only do we mold your orthotics to fit your feet, but we also make the necessary adjustments to improve your performance or structural problem. Let’s face it, your feet are under a lot of stress during most of your waking hours, and they can use a little TLC that’s designed just for them. With custom orthotics, we provide an extra layer of protection and shock absorption for your feet, making every step a little more pleasurable. If you’d like to experience the amazing benefits of custom orthotics for yourself, we invite you to give us a call. Or you can use the online scheduling button to set up an appointment. Summer is around the corner, which means it’s almost time for sandals and bare feet. But if you have a fungal infection that’s made your toenails thick and yellow, you should get treatment to get rid of the fungus before you break out your sandals. When stepping down causes your heel to hurt, especially in the morning, it puts a damper on doing the things you love to do. But you don’t have to let it. Keep reading to find out more about plantar fasciitis and the innovative new ways to treat it. 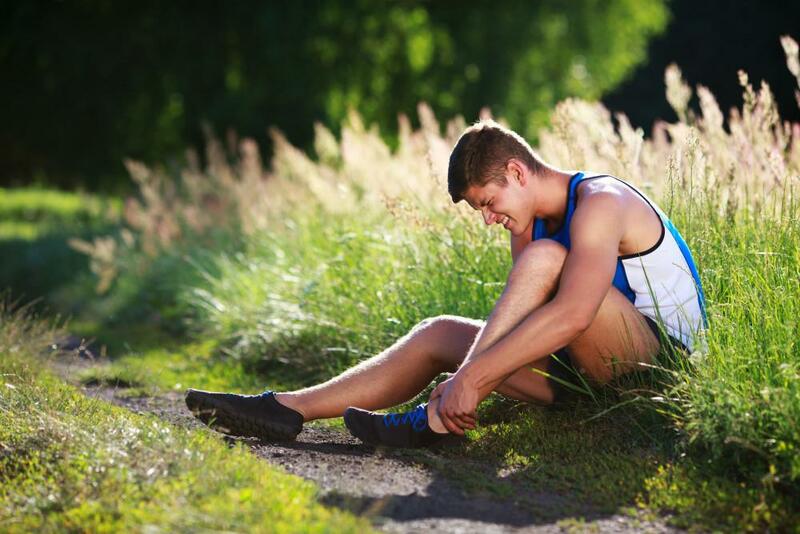 The ache, irritation, and dysfunction caused by Achilles tendonitis is not something you have to tolerate. Learn how the revolutionary therapy of PRP injections can help resolve your pain. Heel pain may be extremely uncomfortable, but one thing it is not is rare. WHY ARE LEG AND FOOT PROBLEMS COMMON DURING PREGNANCY? Should I See a Podiatrist To Treat My Athlete's Foot? Athlete's foot has all sorts of cute commercials suggesting over the counter remedies, but those suffering with it know that there's nothing cute abut the condition.